Visiting Iceland with kids is often looked at as something unattainable. Iceland, the land of fire and ice. Where the sky seems to stretch on forever and the warmth of the people will fill your heart. For us, visiting Iceland with kids became a dramatic road trip that opened our eyes to what makes nature the best playground for children. 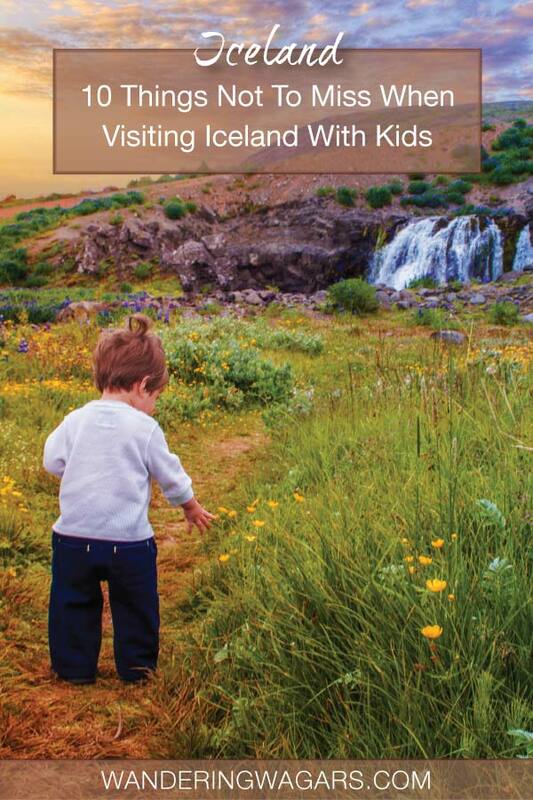 But, what is there to do in Iceland for kids? You may be surprised! During our epic 14-day road trip through Iceland with kids, we managed to cover a LOT of ground. We saw all of the things to do near Reykjavik like the Golden Circle, and even ventured into some unique landscapes that most visitors to Iceland don’t get the chance to see. Iceland is pure magic. It may seem like a cliche, but there is a good reason why so many who experience family travel to Iceland rave about the country. Iceland features endless stretches of untouched nature. Our family has traveled to many places around the world but there are few places that have had so much pure isolation as Iceland does. The advantage of this kind of environment in Iceland for kids is that it makes the country an enormous outdoor playground. Iceland is like a living painting, with waterfalls, glaciers, and all the things that kids of every age find unforgettable. But add to this the rich Viking history of Iceland, and you have a recipe for an unforgettable childhood adventure. If you plan on taking a baby to Iceland, or even older children, prepare for mind-blowing scenery and incredible stories. Iceland tourism has exploded in recent years. Family tour Iceland itineraries are starting to catch on to the excitement as well. 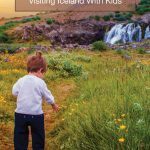 And as more and more people decide to visit Iceland with toddlers, new and exciting opportunities are popping up for family travel. Most people traveling to Iceland arrive by plane in Keflavik, about 45-minutes outside of the capital of Reykjavik. From there, they catch a shuttle into town, sometimes stopping off at the famous Blue Lagoon along the way. One of the most fascinating parts about visiting Iceland for families is learning about the rich Viking history of the country. Not only did these epic explorers discover the New World long before Columbus and the rest did, but they made Iceland what it is today! Taking in Sun Voyager sculpture in Reykjavik is the perfect place to start. is one of the most iconic images that comes to light when thinking about travel to Iceland. But it’s also the perfect launching point for piquing kids’ interest in Viking culture! Meeting a Giant Viking on the Snaefellsnes Peninsula. Near the bird cliffs of the Snaeellsnes peninsula sits a massive rock depiction of Bardur Snaeellsas, a descendant of trolls who still exerts his magical influence on the region. Visiting Incredible Viking Museums. 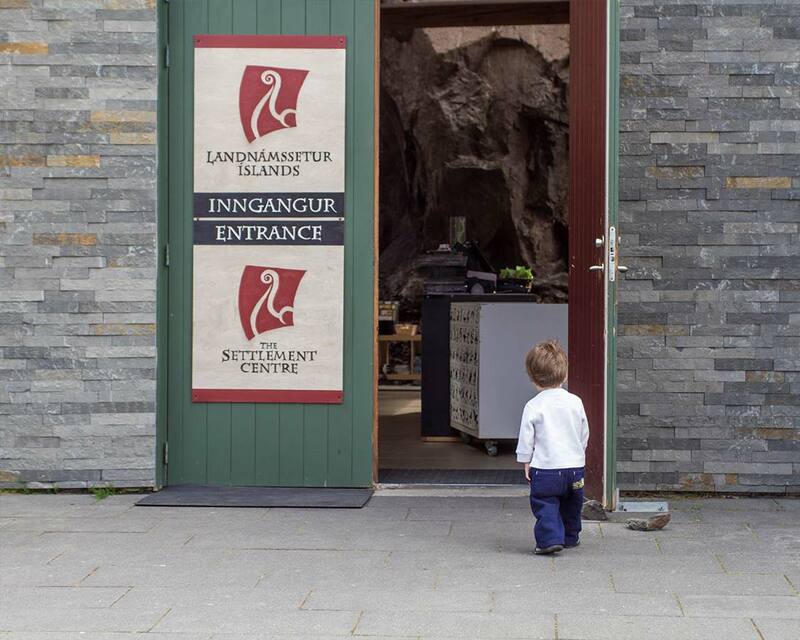 There are many great kid-friendly museums in Iceland. The Saga museum is located within Reykjavik and is very popular. Just outside of town (about 40 mins) is Viking World, which has some amazing displays that will capture children’s imagination. But if you really want to delve into the Viking Saga’s and history, we highly recommend The Settlement Centre in West Iceland. It’s worth the journey if you’re traveling the Ring Road. Iceland is all about waterfalls! There are more of them than you can count. In fact, it seems that everywhere you travel in Iceland, there is water cascading down in the most beautiful way. Not all of the waterfalls in Iceland are kid-friendly, but there are a lot of them that are. 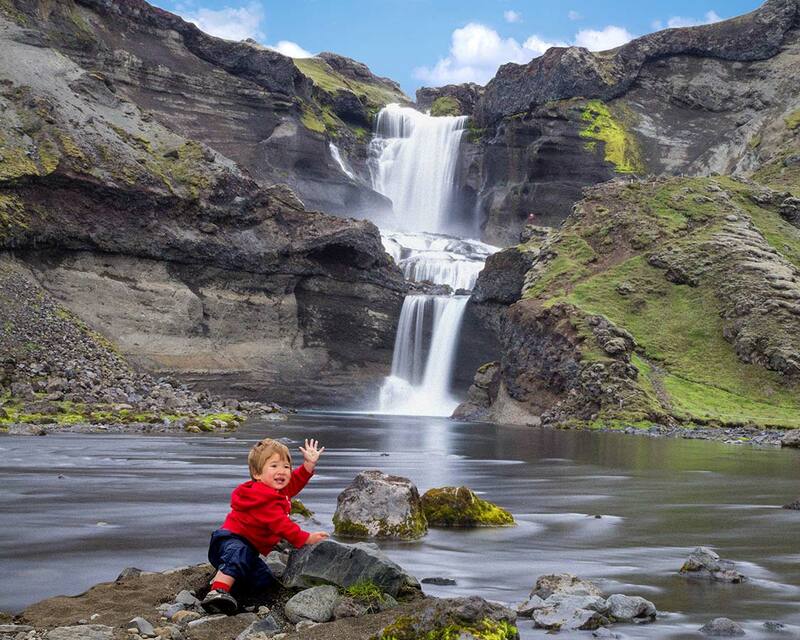 These are some of our favorite waterfalls in Iceland for children. The Majestic Gullfoss on Icelands Golden Circle is one of the most famous waterfalls in Iceland. This iconic destination is a great introduction to the waterfalls of Iceland for kids. 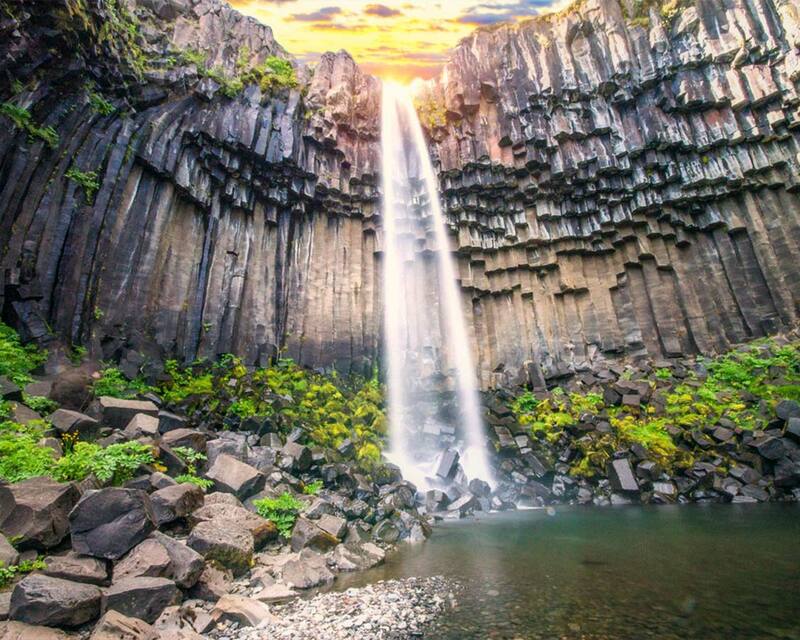 Svartifoss Waterfall in Vatnajokull National Park is one of the most beautiful waterfalls in Iceland. It’s located at the mid-way point of a 1.5 km (1 mile) hike. The hike is an easy one through low lying forest. And the stream at the bottom of Svartifoss is perfect for splashing. Kirkjufellsfoss waterfall in West Iceland is in one of the most beautiful scenes in the country. The waterfall itself is beautiful, but pretty basic by Icelandic standards, but the scenery around it is breathtaking! 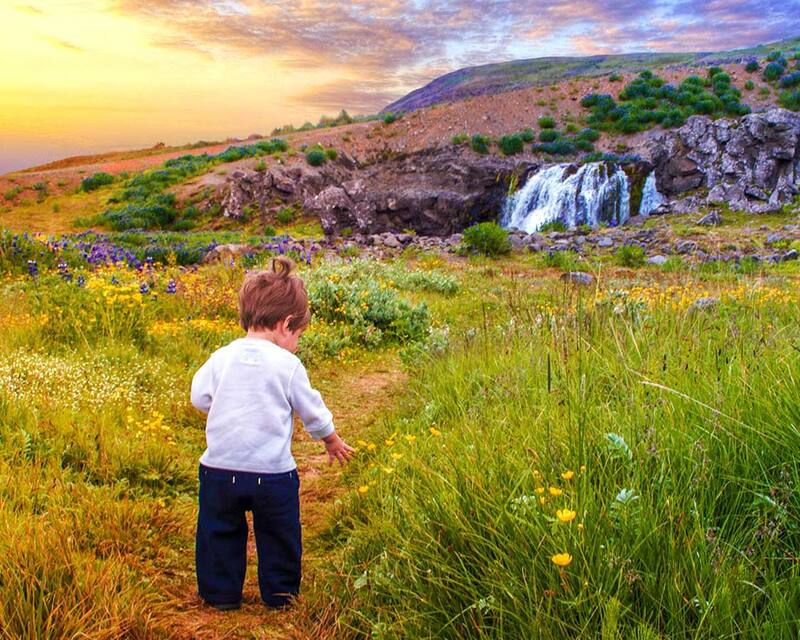 Kids of all ages will love running through the fields of summer flowers with Kirkjufell Mountain in the background. Iceland has countless glaciers that pour melt-water down through the volcanic soil and rock. The geothermal landscape makes for a natural filtration and heating system. So there are an endless number of geothermal pools waiting to explore. Float In Elegance in the Blue Lagoon between Reykjavik and Keflavik. Yes, the Blue Lagoon is the most famous geothermal pools in Iceland. That fame is often debated, but there’s no denying that it’s a beautiful way to begin or end a family vacation to Iceland. Unfortunately, children under 2 are not allowed at the Blue Lagoon. Enjoy family fun at Laugardalslaug pool in Reykavik. combines the pools with a sports hall, botanical garden, a zoo, a sculpture museum, a large gym (World Class), a spa and a skating rink! 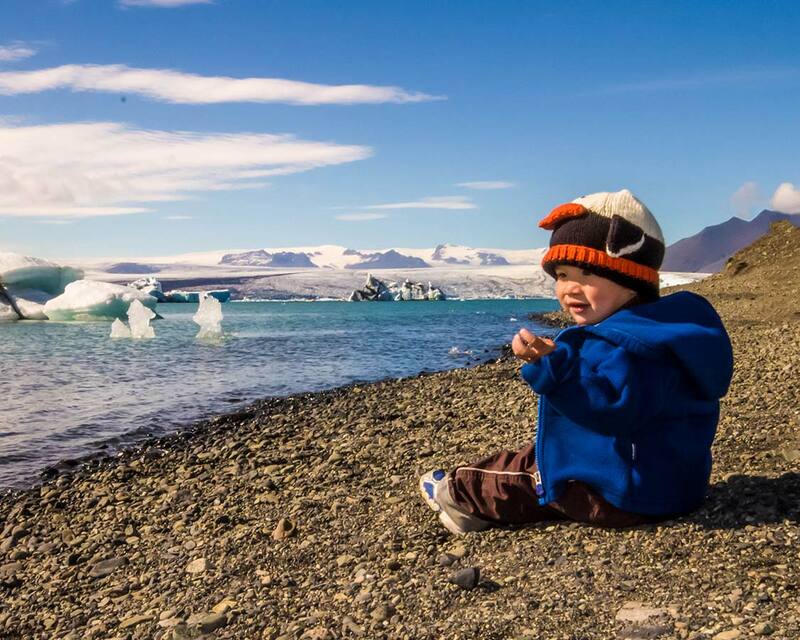 If you are traveling in Iceland with toddlers, it doesn’t get much better than this. Swim with a view at the Myvatn Nature Bath. 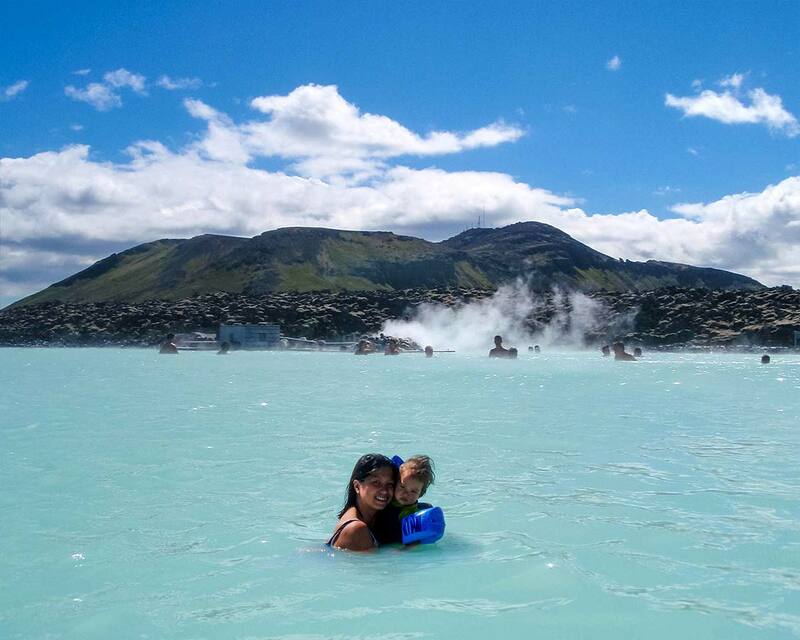 The Myvatn Nature baths are one of our favorite spots to bring kids in Iceland. 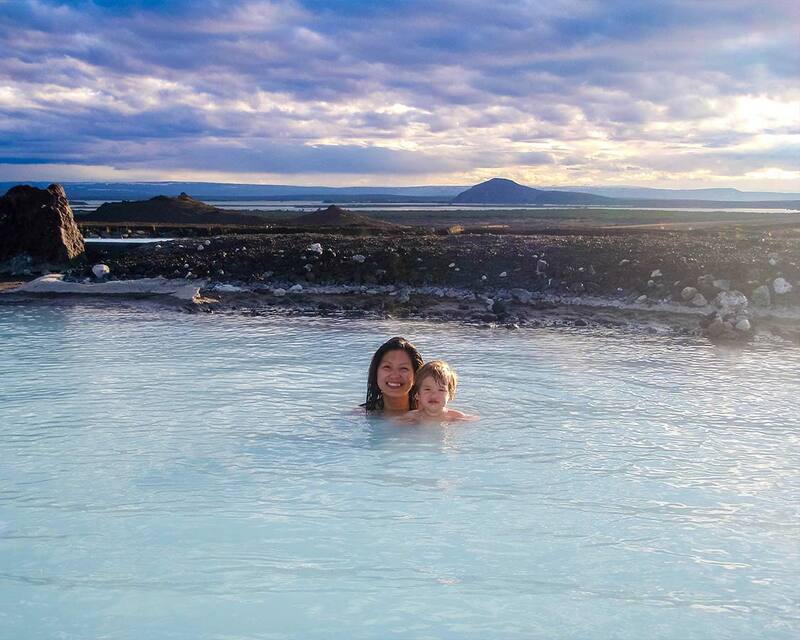 The Myvatn Nature Baths are open to all ages and have some of the most beautiful views of all the geothermal pools. There are few things more cool for both kids and adults than watching a creature the size of a bus rocket out of the water and come crashing down just a few feet away from your boat. And there are few places in the world that are better than Iceland for whale watching. Whale Watching in Reykjavik is an excellent options for those on a short visit to Iceland with kids. The convenience of being in the main city with easy access to the port is key to those who aren’t doing full tour of the country. Most whale watching tours in Iceland leave from the Old Harbour and last about 3 hours. Whale Watching in the Calm Waters of Akureyri is popular for families due to the calm water of Iceland’s longest fjord. Akureyri is one of Iceland’s northernmost cities, and it is the second largest city in the country. Whale watching tours in Akureyri take off from the floating pier near the Hof Cultural and Concert hall. 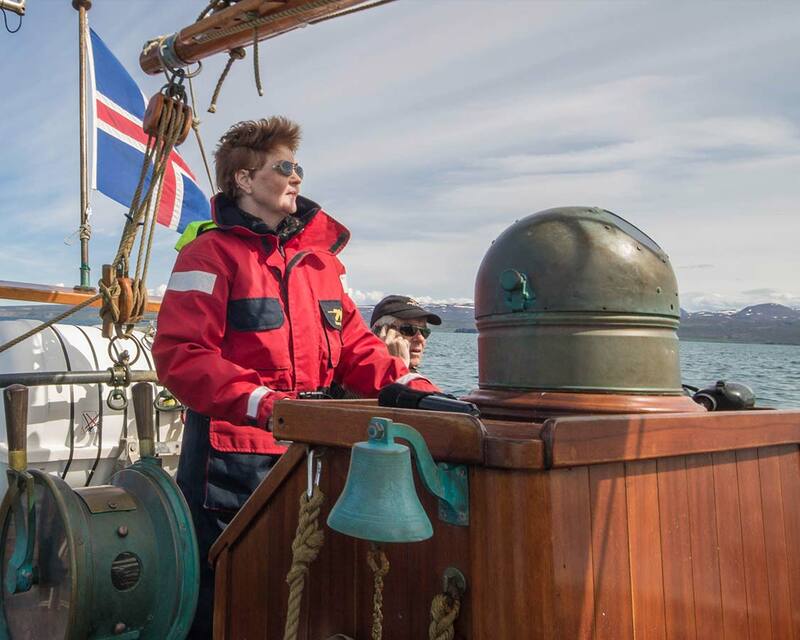 Whale Watching from a Schooner in Husavik with North Sailing was one of our favorite experiences in Iceland. There was something magical about combining the majesty of tall ships with the elegance of whales in the Northern Sea. 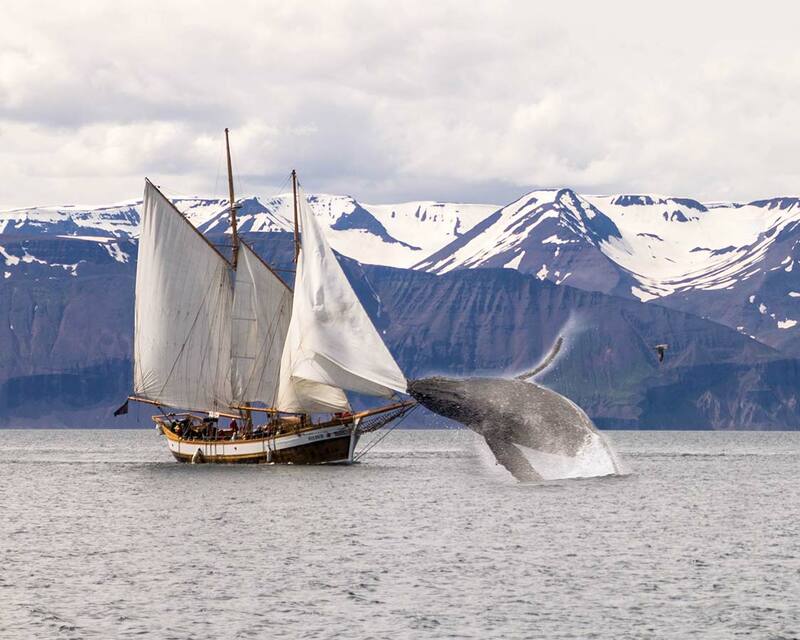 As an added bonus, Husavik is one of the best places to see the magnificent Blue Whale during the summer months. Husavik is also home to the Iceland whale museum which has a lot to offer for those experiencing Iceland for kids, or adults traveling the country. Kids aren’t the only wild animals that love to explore Iceland, there are lots of amazing creatures that call Iceland their home. This country’s unique position in the North Atlantic makes it a haven for migratory birds. But it’s not just feathered friends that can be found around Iceland, there are a few animals that we love to visit when we are in this beautiful country. Here are some of our top wildlife experiences for families in Iceland. 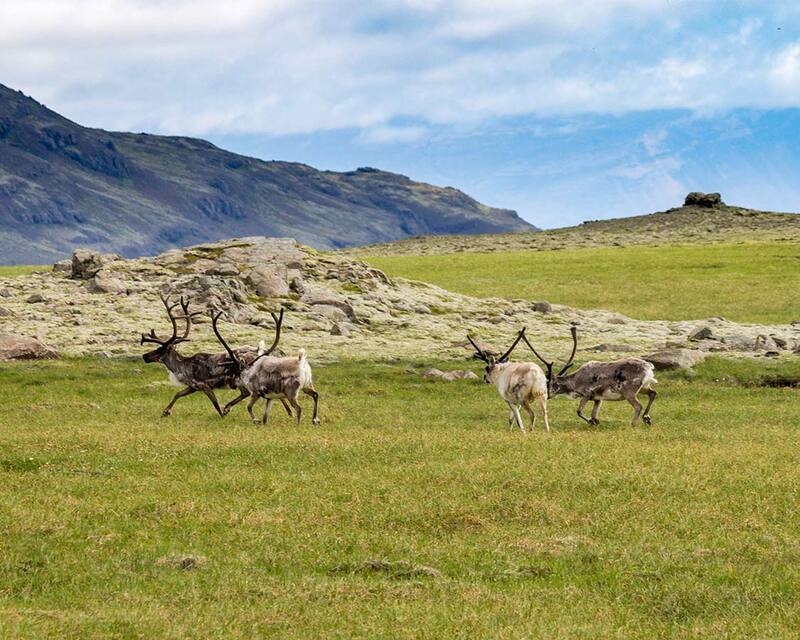 Run along herds of Reindeer in East Iceland. Reindeer are the largest animal that lives in Iceland (except for the occasional Polar Bear that ends up here by accident). Reindeer are most easily seen in the winter months when they head to the lowlands to feed. During the summer, you are more likely to see them in the highlands away from the crowds. Watch colorful puffins dance in the air and in the water. ferry to the Westfjord. 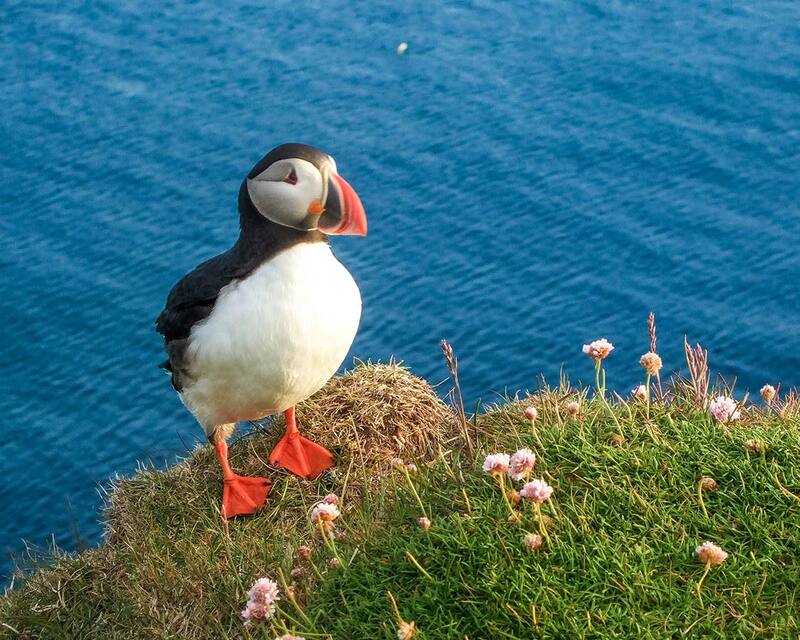 During the summer months, Iceland is home to some of the largest concentrations of puffins in the world. The best places to see them are on the s (make sure to book the slow ferry). Or if you want to see them up-close, head to Latrabjarg in the Westfjords to watch them on the epic Latrabjarg bird cliffs. Take a ride on elegant Icelandic horses. OK, you got me, while not technically “wildlife”, Icelandic horses are still one of the most treasured animals in the country. They are known for their small size and fortitude. Kids will love horseback riding experiences around Iceland on these beautiful animals. Views. Iceland’s got them. 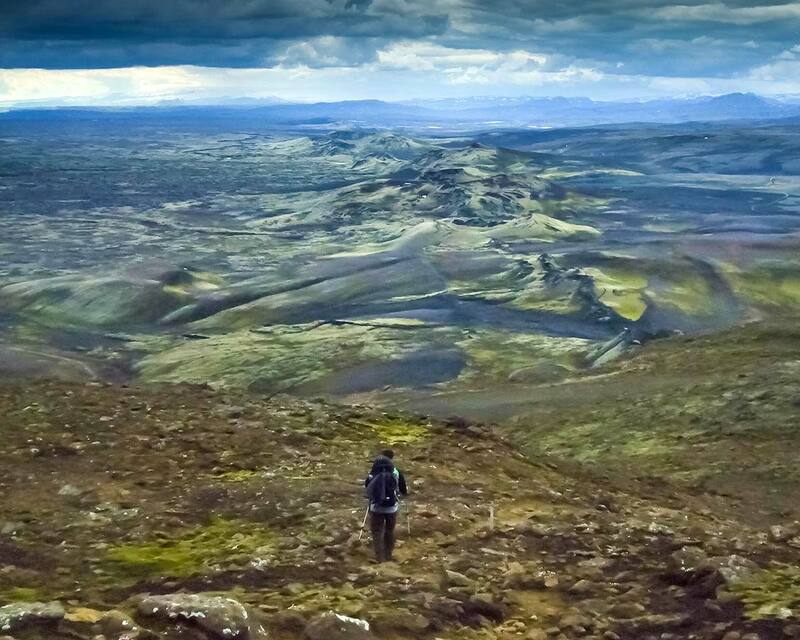 In fact, when you’re hiking in Iceland with children, it seems like Iceland has ALL the views. In all the countries our family has traveled to, I can’t think of one country that has matched Iceland for sheer beauty. Many have come close. But none have been able to top Iceland for sheer majesty. Hiking in Iceland is just awesome. 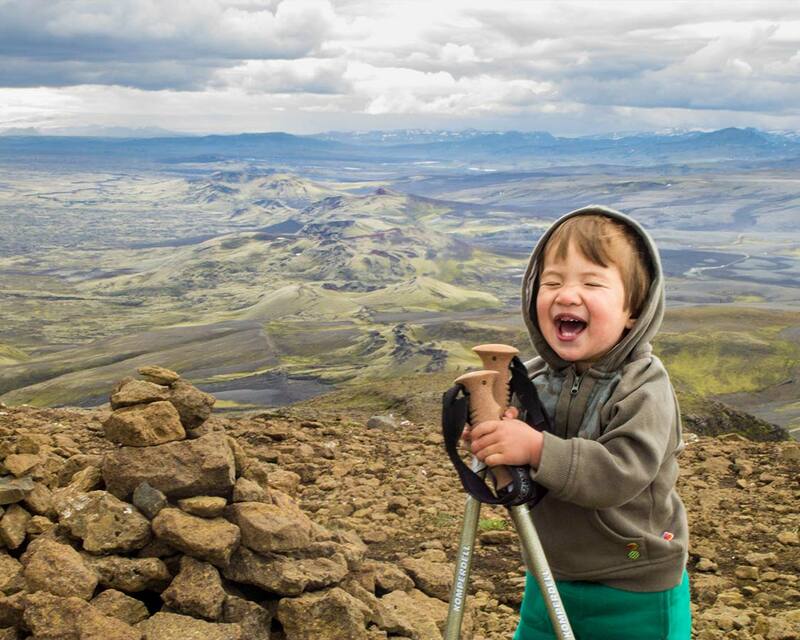 Hiking with kids in Iceland is even better! Sure you travel at a slower pace, but that just means you get to enjoy the views a little more. You can check here for all of our favorite family friendly hikes in Iceland. 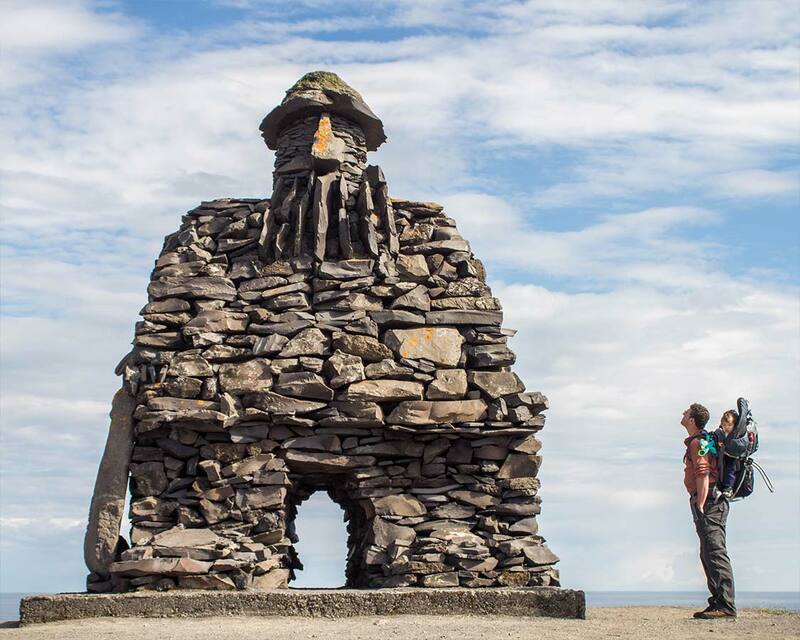 Visit the Giant at the Arnarpstapi Bird Cliffs. Yes, this is the same trip we mentioned earlier when talking about Viking history in Iceland. Not only can you visit the Bardur of Snaefellsnes here, but you can hike between the towns of Arnarpstapi and Hellnar for some stunning views. The cliffs are home to thousands of nesting birds that make their homes on the coastal cliffs and sea caves. As an added bonus, stop in at the Fjoruhusid cafe in Hellnar for a treat before making your way back to Arnapstapi. Explore the stunning landscape around Lake Myvatn. The hiking trails surrounding Lake Myvatn are gorgeous. The region is lush and green during the summer months. The well-maintained paths make the hike very family friendly. 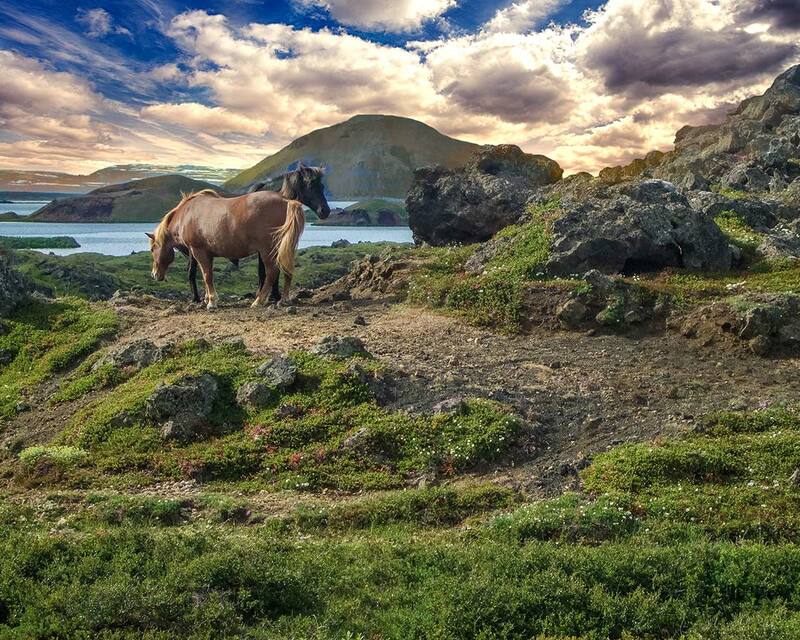 Along with volcanic hills and craters, you might also see grazing Icelandic horses along the waters edge. Take in one of the most beautiful canyons in the world at Fjadrargljufur. This narrow canyon stretches for 2 km between steep 100 m cliffs. The canyon floor can be trekked but requires some wading through shallow water and along some small waterfalls. There is also a path along the canyon rim for those who want to keep their feet dry. We opted to do a little of each, and the views from both are simply amazing. With endless nature and epic views surrounding you, it’s easy to get caught up in the madness and want to try something exciting! Luckily, many of these activities can be done with children. Well, at least children of a certain age. These are some of the most exciting activities in Iceland for kids. Snowmobile across Snowmobile Across Langjokull Glacier. There are few things as freeing and fun as snowmobiling across a glacier in Iceland. Although you need to be 18 to be a driver and at least 6-years old to be a passenger (When we first went, the age restrictions were a little different), snowmobiling in Iceland offers a really great way to explore on top of the amazing glaciers. Take a Zodiac or Amphibious Vehicle tour o the Jokulsarlon Glacier Lagoon. The Jokulsarlon lagoon is one of the most surreal places in Iceland. Children in Iceland will love watching the icebergs cut off the Jökulsárlón glacier into the spectacular lagoon while playful seals swim amongst the clear blue icebergs that float around you. As a bonus, make sure to get a taste of the delicious glacier ice scooped straight out of the lagoon! 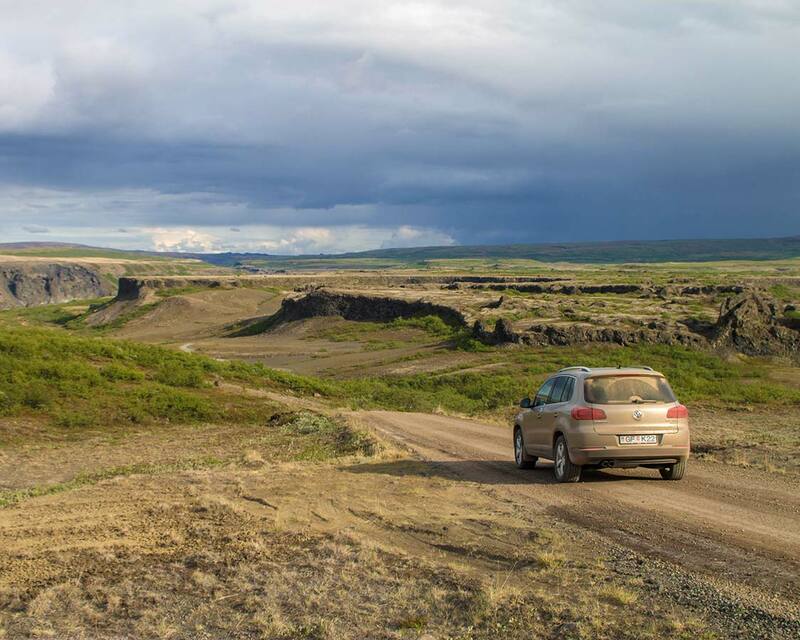 Take an off-road journey in the Icelandic Interior. Off-roading and Super Jeeps are a big deal in Iceland, and these rugged adventures are something that the whole family can enjoy. And with Icelandic safety in force, you know it will be more kid-safe than when we went on a dune buggy in Peru. 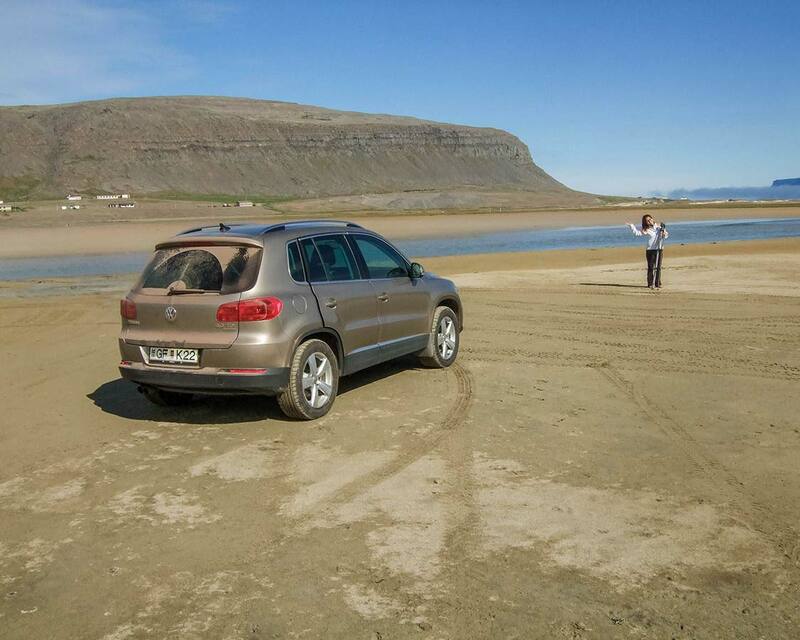 Off-roading in Iceland with kids let’s you get to areas you might not think of exploring with kids. Snorke or Dive Between Continental Plates. For those a little older, a visit to Thingvellir National Park affords those with the fortitude the chance to snorkel or swim in one of the most unique locations in the world. The Silfra Fissure is the location where the continental plates are drifting apart creating a huge crack through the center of Iceland. Iceland is slowly becoming known for it’s culinary expertise as much as it is for the country’s natural beauty. Icelandic cooking has adapted to the limited resources available on the island and the local chefs have learned to create some truly amazing dishes. Start your day right with a bowl of Icelandic Skyr. Almost all of the locals in Iceland eat Skyr. This creamy combination that sits somewhere between yogourt and cottage cheese is a breakfast staple. Not only is it a healthy treat, but it can be mixed with fruit and jam into a delicious treat. Hold your nose and gulp down some …fermented shark? Ok, I’ll be honest with you, this is something we didn’t try ourselves. But it IS a thing in Iceland. Most locals find this vile-smelling dish abhorrent, but it is steeped in tradition here as well, so there is a market for it. Icelandic People can come across as cold. That is until you get to know them. In actual fact, Icelanders love to have fun, and there is a unique humour in a lot of their attractions. These are some of our favorite wild and wacky attractions that are great for family travel to Iceland. Wander Through Petra’s Stone Collection in Stodvarfjordur. Petra’s Stone Collection is an wild collection of rocks, minerals, and memorabilia collected by Petra María that has been referred to as a cornerstone of the nation. This collection is quirky, featuring an odd assortment of stones from throughout the country and the world. 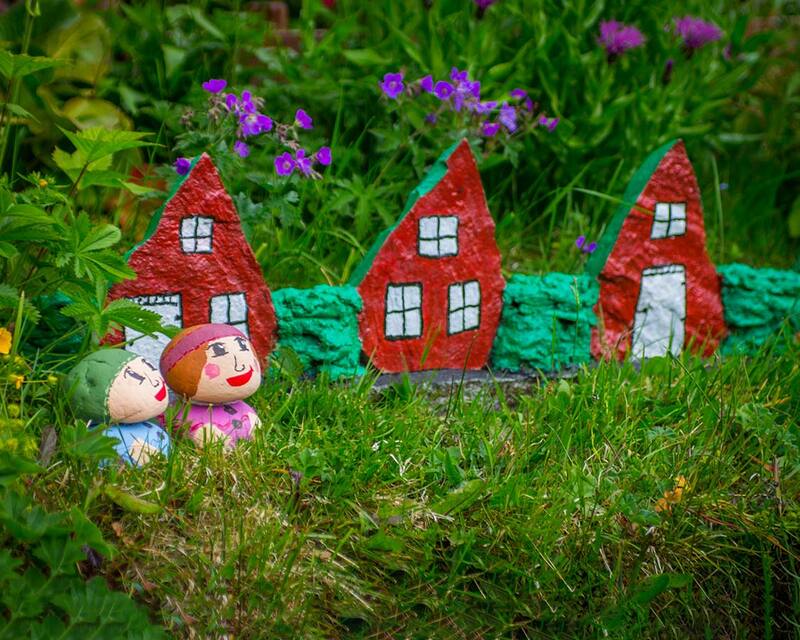 Kids will love exploring the fairy gardens, painted rocks and beautiful gardens of Petra’s backyard while adults can visit the museum to learn about Iceland’s ‘Grand Old Lady’. Search for Fairies in Songhellir, the ‘Singing Cave’. Iceland is known for its rich mystical history. Many Icelandic people believe in fairies, trolls and other incredible creatures and Icelanders are known to have small houses in their garden for elves and the like to take shelter in. Songhellir is a cave located just off the Ring Road in an area famous for mythical sightings. The cave, known as the ‘singing cave’ due to wind pushing through the lava tubes is easy to climb into and the walls feature graffiti from explorers dating back hundreds of years. Explore some of Icelands beautiful beaches. No vacation with children is complete without a visit to the beach! And the greatest thing about the beach in Iceland is that you don’t need to worry about crowds. Just drive right on out, park in the sand and get ready to make sandcastles. Just make sure to bring a thermos of hot chocolate, the water can get a bit chilly! 10. Rent a Car and Drive! It’s easy to spend 3 or 4 days in Reykjavik and the surrounding area. There is a lot that you can see with just a few days in Iceland. But if you really want to delve into how incredibly amazing this country is, your best bet is to rent a car and explore. Icelandic roads are super well-maintained and traffic laws are widely supported (and enforced, so drive safe!). Taking a road trip in Iceland with kids makes for an unforgettable experience. And it’s also the best way to explore the parts of Iceland that are often overlooked by visitors. Here are some of our top things you can see on a road trip in Iceland that you probably won’t see on a day trip from Reykjavik. Drive through streams and rivers in the Icelandic Highlands. The Icelandic Highlands are a vast departure from the coastal areas of Iceland. For countless miles in each direction, the land is barren, rocky and wild. Kids will love the thrill of driving through small streams and rivers in your 4×4 (because if you don’t have a 4×4, don’t go to the Highlands!). You’ll see towering mountains and glaciers such as the Askja Caldera. Just make sure you stock up on gas and supplies before you go. There are no service stations here. Check out some of Iceland’s less famous, but no less spectacular, waterfalls. Like I mentioned earlier, Iceland is full of waterfalls. And many of them can’t be seen on an organized tour. They are either too off-the-beaten-path, or just not included in organized Iceland tours. Some of the ones not to miss are Godafoss, Icelands most powerful waterfall, and the graceful Detifoss and Selfoss. Thesse last two can be reached via a short hike. Watch where the World was Ripped Apart in Lakagigar. Our visit to Crater Row in Lakagigar was one of our most epic road trips in Iceland. It’s a long drive to get there, but WOW! When you arrive it will blow your mind. There are a series of beautiful volcanic caves that are cool to explore (young children might need a hand to hold for this one). But the best part is a hike up a small mountain (kids of all ages can do it with a little help). Here you can see where the earth was opened up like a zipper by a series of volcanic eruptions that devastated Iceland in the early 20th century. As You Can See, there is a LOT to do in Iceland For Kids! Exploring Iceland for kids can be a fun-filled adventure for the whole family! There is plenty to discover and learn in this beautiful country. 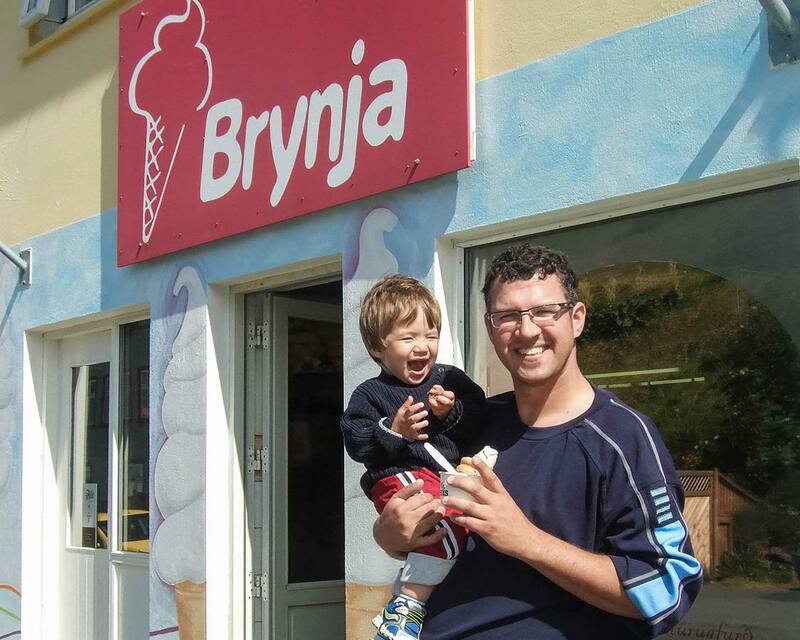 The people are warm and friendly and when traveling Iceland with kids you can be sure that your presence will be cherished! Don’t be afraid to venture off-the-beaten-path and get to know this beautiful country a little better. We visited Iceland last year with our 11 year old and loved it. I’m constantly telling people how it is not just for backpackers — there is so much for families to see and do. Love your pictures! 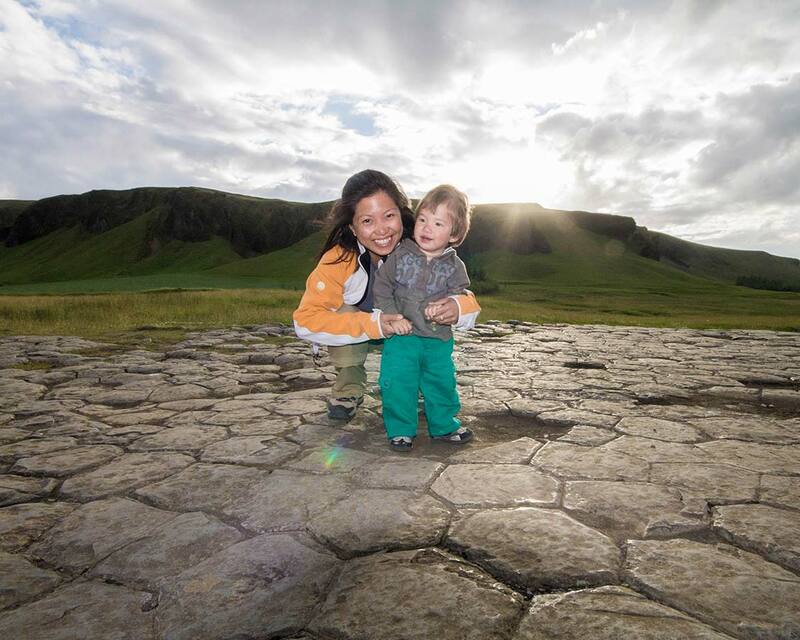 Thanks so much Tamara and that’s awesome that you got to Iceland with your child! It really isn’t just for backpackers and the whole country seems setup to maximize the fun for kids of all ages. Looks awesome! We’ve only done domestic US travel so far, but when we start traveling internationally, Iceland is one of the places I’d like to enjoy as soon as possible! Your photos are awesome and your commentary is very helpful. I will definitely refer to this post for future reference. Sounds like a place we won’t want to leave! Great article with awesome information for folks with wee ones! My school is doing a trip to Iceland for a group of teenage girls in two days’ time…any advice for them? 😉 Seriously though, some great tips and beautiful photos. Thanks for sharing! Fantastic post! Beautiful photos and tips! I am going there in May so will definitely reference back! That sounds like great family fun! Looks like the kids enjoyed it a lot! I’d love to visit Iceland one day, the pictures are very convincing! Aww. All the pictures of your son are so sweet. He is going to be a very well-education person with all that you’re exposing him to. Right on. Thank yo Brianna! We certainly do try to use travel as an educational tool, and more importantly, they love it! 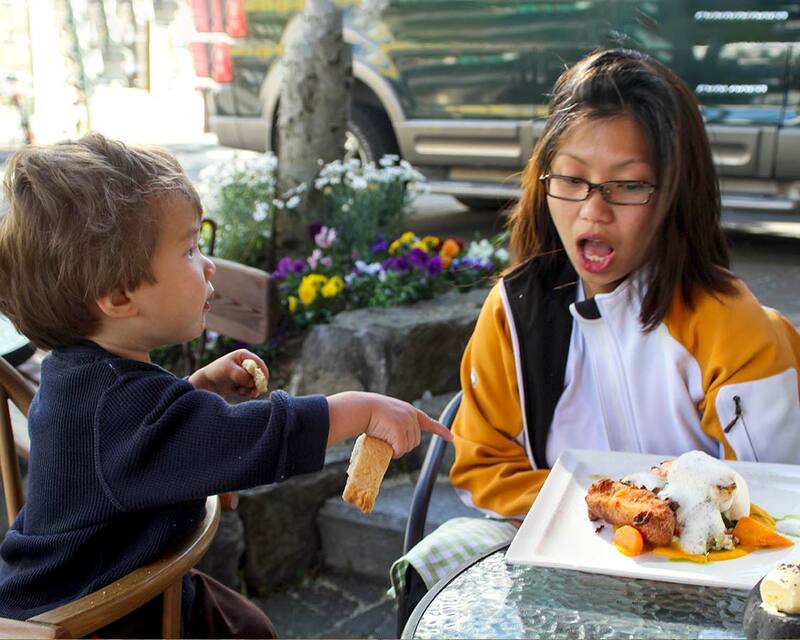 It’s always heartwarming to see kids enjoying travel just as much as their parents! I don’t have kids but I love this itinerary and would totally do it myself. 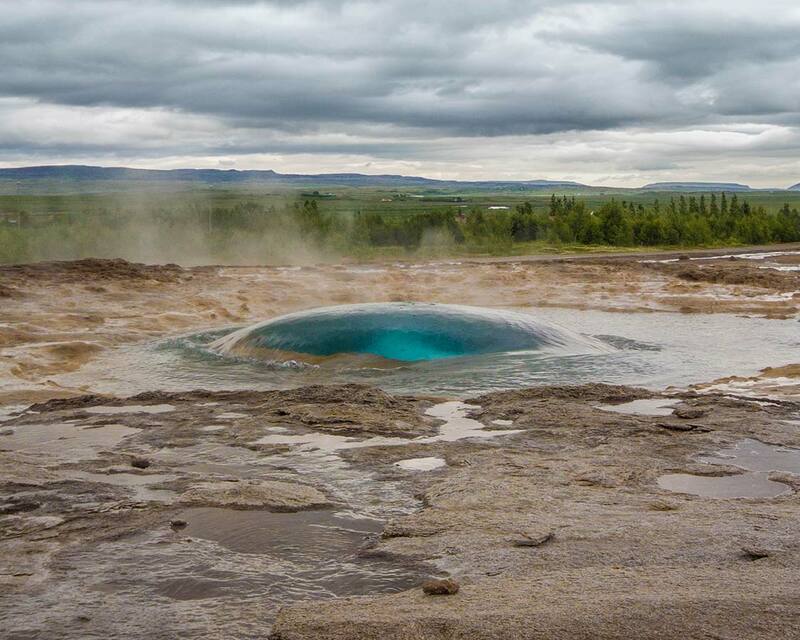 Especially that geyser – looks epic! Wow! This looks so beautiful. You’ve inspired me. My husband and I thought we’d have to wait until the kids were out of the house to travel over seas, but this looks too amazing. Why wait?! Traveling with kids is amazing! Honestly never thought of Iceland – but it looks incredibly amazing. The hubs is keen on some kinda Arctic exploration to torture me with, and maybe this would be the place we could compromise on. Such a thoughtful post with such great photos. No wonder though – happiness is beautiful. Looks like there are tons of great activities and adventures to enjoy in Iceland, so much fun for the kids! Fun post! Iceland is the #1 country on my bucket list! Really enjoyed reading this. We’re going to Iceland ourselves soon and everything we keep reading is making us more excited. Thank you. Puffins are the best! 🙂 I love how it seems like there are very few “rules” in Iceland-nothing over regulated saying where you can walk and what you can do. True exploring. That’s amazing. Ah yes, this brings back memories of our family trip to Iceland, I love that country! This makes me want to return, especially for those thermal pools!! I want to go to see the stunning scenery and that Viking! That is so cool. My husband and I are planning a trip to Iceland. Our kids are grown, but this post gave me so many ideas. Gorgeous photos. Thanks Tonya! I hope you two have an incredible time! Thanks Kevin, that´s a very nice article. I explored Iceland solo. We really need to visit with the boys now! Especially because we have a thing for geysers. Or geysirs. That’s fantastic! It’s such a great place for the whole family! Incredible towns, museums, landscape and experiences! I’m sure you will have a wonderful time! What an amazing experience – for both you and the kids! I’ve always wanted to go to Iceland and this post will really help with planning. Thanks for sharing! Absolutely love Iceland, and there are so much to see and do there. We drove the ring road all around the island and did see so much in a few days. We’re planning to go back someday, and your post gave us some more ideas of things to see and places to go. Thanks for sharing! This is a seriously comprehensive list of things to do in Iceland! Even though I don’t have kids, all of these activities would absolutely intrigue me! I love that waterfall. Would love to hike to it and splash in it like your son! Adorable pictures! It would be impressive to do that, although a bit chilly 🙂 It’s all glacier run-off! What an amazing trip, we were planning to go this summer and going to use this post as my reference. We wanted to go to Iceland for years with my husband but many people told us not to because we have a baby now. It’s a strange idea for most people here in Tahiti. Could you tell me how you did for the snowmobile in the glacier? Traveling with a child opens up a whole new world of adventures! C was one and a half when we went to Iceland, and he was over the moon with every new adventure. For the snowmobile, he was a bit tired when the adventure started, but he actually fell asleep for almost the entire snowmobile excursion. I made sure I drove slow enough not to wake him up, but I think the bumpy ride actually helped him sleep. Looks like your family had a wonderful time. Got to get to Iceland soon. Sorry kids, I’m more interested in doing all of these things myself! How long would you recommend spending there on a first time visit to do it justice? One, two or three weeks? I was in Iceland years ago but didn’t see or do as much as you due to limited time. You have motivated me to plan a return visit. Amazing post – thank you! We are going with our 6 month old daughter in September. It looks as though your son was able to go on the boat in Glacier Lagoon. What company did you use? We are also thinking of going to the Blue Lagoon but their minimum age is published as 2 years old despite others bringing infants a few years ago. Did you try this with your children?! Hello Erin, for the lagoon tour we used Glacier Lagoon Iceland. There was no need to book a ticket in advance. They had tours running all the time. We showed up and bought our ticket (C was free so your daughter will be free too) then waited for the next tour. We waited maybe 15 minutes. The time will pass by so quickly as the scene is amazing from the shore as well. We did go to the Blue Lagoon as well. We described it in our post here: https://www.wanderingwagars.com/iceland-beyond-golden-circle/. They did not say anything at all about C’s age. When you go, if you have a different experience do let me know! Although the Blue Lagoon is the most popular, there are many other geothermal baths in the country worth visiting as well. A brilliant read. We recently returned from our second visit with our son who is now 15 months old. He absolutely loved it and I’m sure we will return to do more! That’s fantastic! We’ve been thinking about going back to explore even more as well! Our pleasure! Enjoy Iceland. Wish we were going again soon. Brilliant informative post Kevin. Iceland is on the agenda for 2017 and we will be travelling with our 1.5 year old daughter in September. Is Sep a good time to travel to Iceland with a kid in September from weather prespective. That’s fantastic Ashish! Our son was the same age when we visited Iceland. During September temperatures average between 10-12°C (50-55°F). Things can get a bit windy depending on where you are visiting though. As long as you dress in layers, you should be perfectly comfortable. 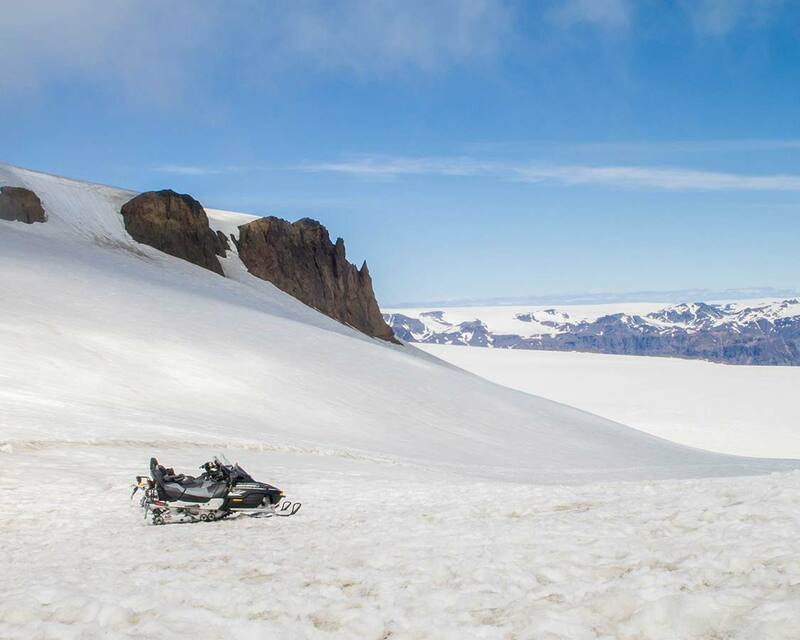 Do you remember which company you used to book the snow bike on Langjokull Glacier? What’s funny about that tour is that we totally didn’t expect to join a tour. We just followed a map that said there was a road that ended up at a glacier. When we got to the end there just happened to be a tour company there. We had no booking and no plan. We just asked if we could go and they said: “sure, no problem”. I BELIEVE it was https://intotheglacier.is, but I don’t know for sure. First of all, amazing pictures! Second, great breakdown and putting Iceland in a kid-friendly light. I’ve only been there without kids (over New Year’s nonetheless), so I haven’t really considered this country in the vein of how to focus it to keep my little people entertained (as well as myself). Now I know exactly how to sell it to my littles! Thanks again! Thanks so much! Iceland is fantastic for kids. There is so much to keep them occupied and entertained whether you are exploring Reykjavik and the Golden Circle or beyond! Oh my gosh, after this post you can go ahead and move Iceland a little higher on my bucket list! Simply beautiful!!!!! Wow! I have been resisting jumping on the Iceland bandwagon, but wow your photos and enthusiasm are hard to ignore! So beautiful and so many great things to do with kids. I might be convinced! Wow! Iceland was already on our bucket-list, but this just bumped it up higher. The natural beauty of Iceland seems mostly untouched and perfect for getting away from it all. Thanks for sharing your experience, especially the kid friendly parts! I’ll be going with my two year old in about 2 weeks. What kind of clothes did your little one use? I have always wanted to visit Iceland but didn’t think it was suitable for children so It is awesome seeing your post and knowing it is suitable. We have kids 10, 8 6 and 19 months so it is now definitely something to think about. I love your picture of the puffin – How long did you actually spent there as you seemed to fit a lot in? Hi Gemma! I’m glad we could change your mind about visiting Iceland with kids! It’s amazing and one of our favorite places in the world to visit. We spent two weeks in Iceland road-tripping around the country. There is quite a bit to see in less time if you can’t spare as much time. Pukaskwa: Welcome to Ontario's "Other" National Park!